Assistance systems for Industry 4.0 – driving safety through technology. 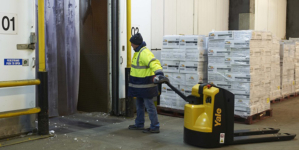 Whilst the number of industrial accidents is generally falling, this tendency is sadly not applicable to the operation of forklift trucks, so any technology that can improve on the current statistics should be adopted wherever and whenever possible. A major focus of Industry 4.0 is the transformation of manufacturing and industrial operations through improved connectivity and the enhancement of machinery, plant and processes by means of automation. 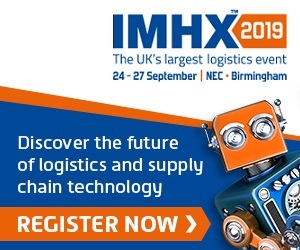 In situations where personnel and machines work in close proximity – and the warehouse is a classic example of this – embracing innovations that are now standard in the automotive sector, such as advanced driver assistance systems, can reduce risks and protect personnel. 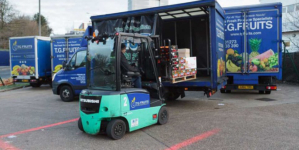 Advanced driver assistance systems designed for forklifts are comparable with those on cars in that they give various types of alerts – optical, acoustic or tactile – before or during critical situations. They can also intervene (autonomously or part-autonomously) in the drive, steering or signalling functions to prevent incidents. Integrated warning systems work with radio frequency, laser or camera technologies to monitor specific risk zones or a defined radius around machines and personnel, acting as a protective shield. Increased levels of safety for drivers and co-workers can therefore be guaranteed in high risk areas such as blind spots and at busy intersections in the warehouse. The transition from outdoor to indoor operation is another situation fraught with potential danger: driving speeds in yards or outdoor areas are typically much faster than those applicable inside. Rather than relying on drivers to comply, radar based systems can automatically reduce speeds when a truck enters the warehouse or production area and reverse the procedure in the opposite direction. 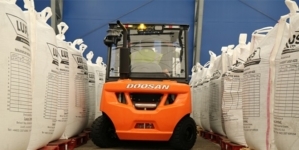 Advancements in the development of forklift environment sensors enable increasingly sophisticated detection of hazardous scenarios and preventative measures to be actioned. Ultrasound is used for areas close to the truck, with radar and lidar (laser based) deployed for longer distances and for speed measurement. Products installed for predictive collision avoidance are generally used together with ultra wide band radio frequency technology. Taking a cue once again from the automotive sector, which has developed cooperative systems whereby cars are able to communicate with each other (Car-2-Car) or with their surrounding infrastructure (Car-2-X), similar products are now becoming available for the intralogistics sector. 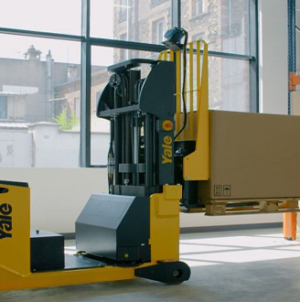 One example is a predictive accident alarm which is triggered when two forklifts are on a collision course; another is forklift navigation using RFID. Vehicle localisation will also play an ever more important role going forward. For indoor operation, mesh networks are a promising development which will improve vehicle and occupational safety. One important consideration when evaluating assistance systems is their ease of use and the potential distraction factor of alerts – whether they are flashing lights, audible alarms, buzzers and so on. Assistance systems should not lead to a lack of concentration nor overly distract other drivers or personnel. Ideally they should be easier to use than a car radio with easy menu navigation, a reduced number of operational controls and intuitive and easily understood responses. 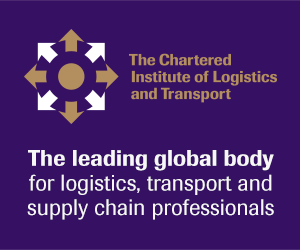 Fleet management systems can also ensure that safety starts before the engine has been switched on: using RFID chips to identify drivers prevents improper use from unauthorised or untrained personnel, and electronic safety check lists verify that pre-operational inspection has in fact been carried out. Shock sensors that record and report any impacts promote more accountable, responsible and therefore safer driving practices. 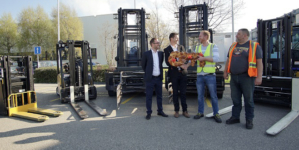 Recent and ever closer collaboration between forklift OEMs and specialist providers of assistance systems and sensors indicates a growing demand for these electronic guardian angels. Motorists have long been used to the benefits of in-car technology – it’s now time to offer these more widely to operators of MHE equipment to make the warehousing and intralogistics environments as safe as possible. By Alexander Glasmacher. Managing Director, ELOKON.